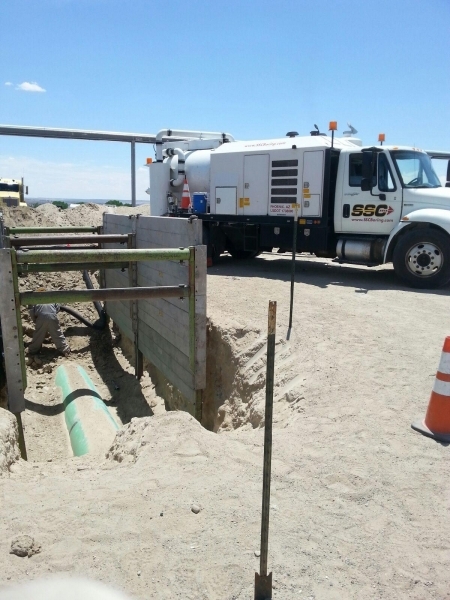 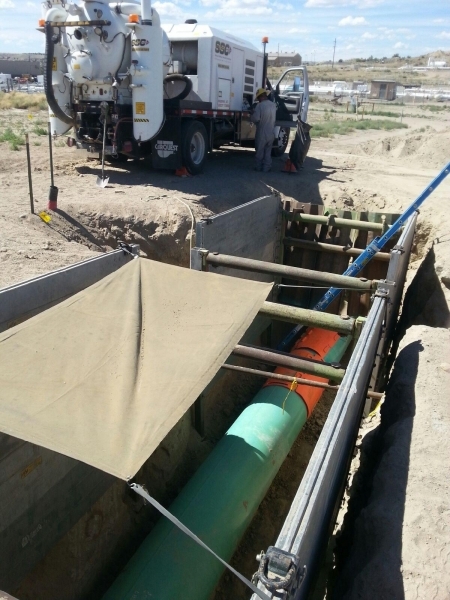 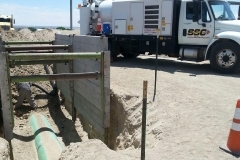 Description: Use vacuum excavation to expose gas lines inside a major natural gas station, allowing KM crews to safely recoat the pipes. 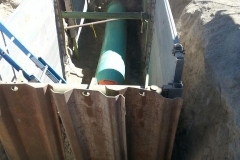 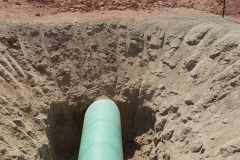 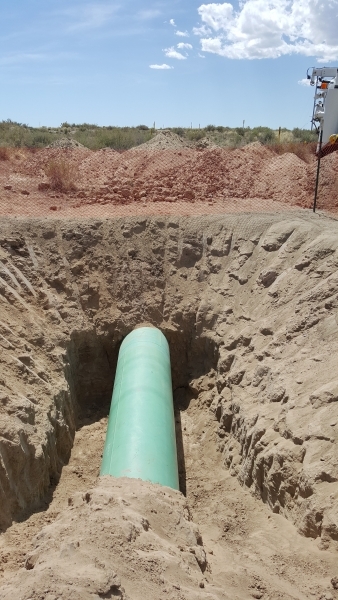 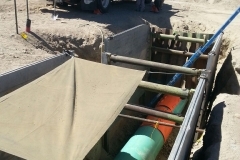 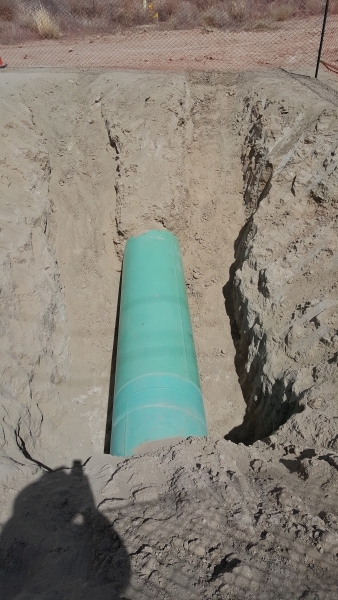 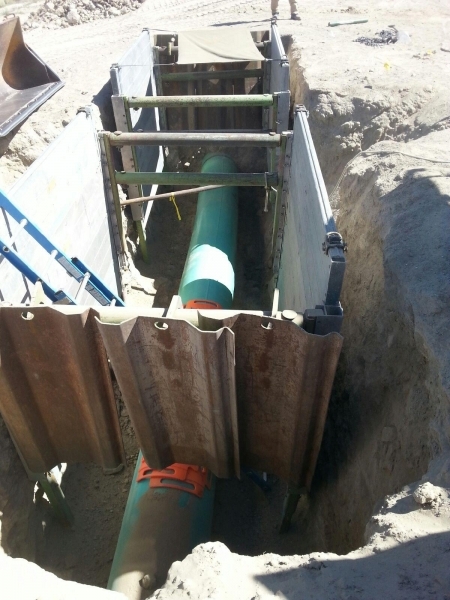 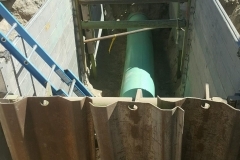 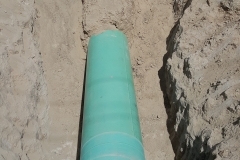 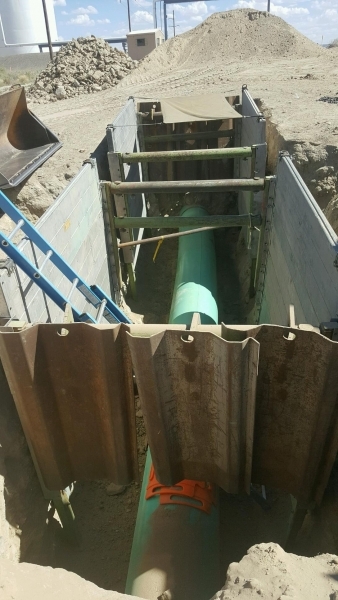 These pipes are located in four different areas inside the station, requiring 4 separate digs, working around other Kinder Morgan lines in addition to Enterprise Products, Concoco Phillips and other unknown lines. 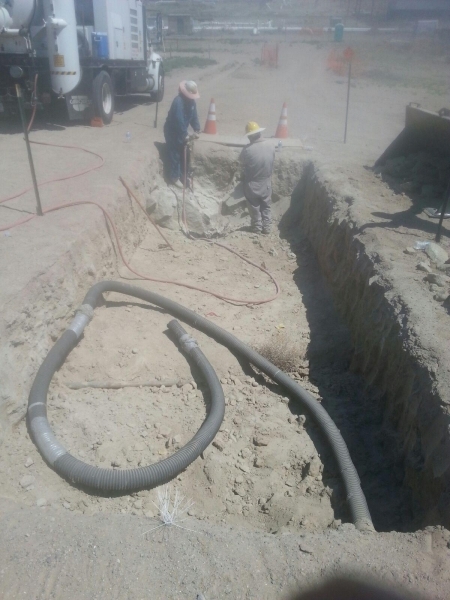 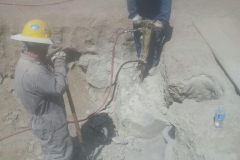 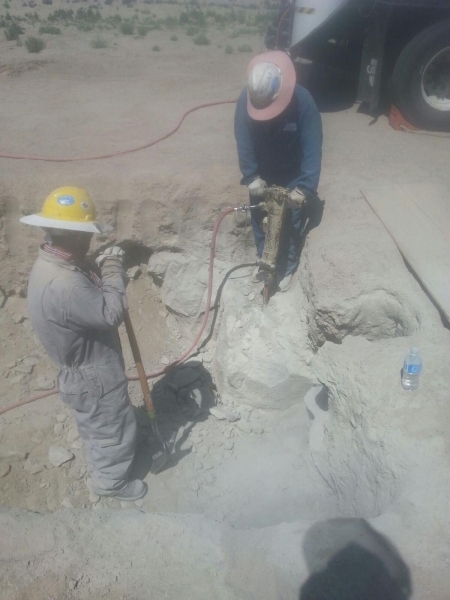 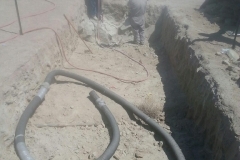 SSC crews excavated pits up to 20’ x 10’ x 10’ at each of these locations for KM crews to work in.